Lenard Leroy Bryant, the top turret gunner on the Buslee crew, was born March 17, 1919 in Alex, Oklahoma. Lenard was the youngest of the ten children of Fannie and John Gilbert Bryant. Lenard’s family moved to a farm in Whitharral, Texas when he was only five. 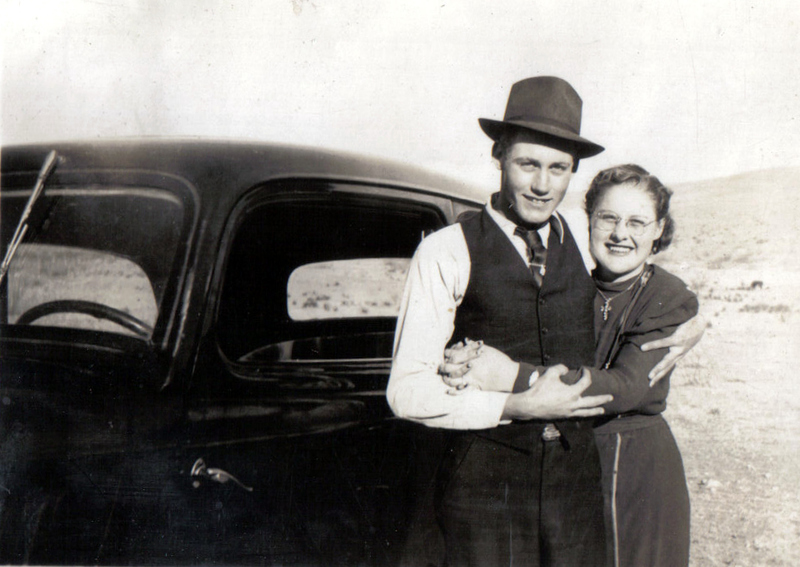 The next year, Lenard married Maudene on October 21, 1939. 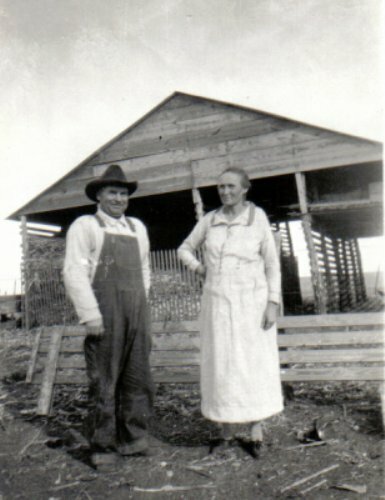 They lived in Littlefield, Texas after their marriage, perhaps on Maudene’s parents’ farm. 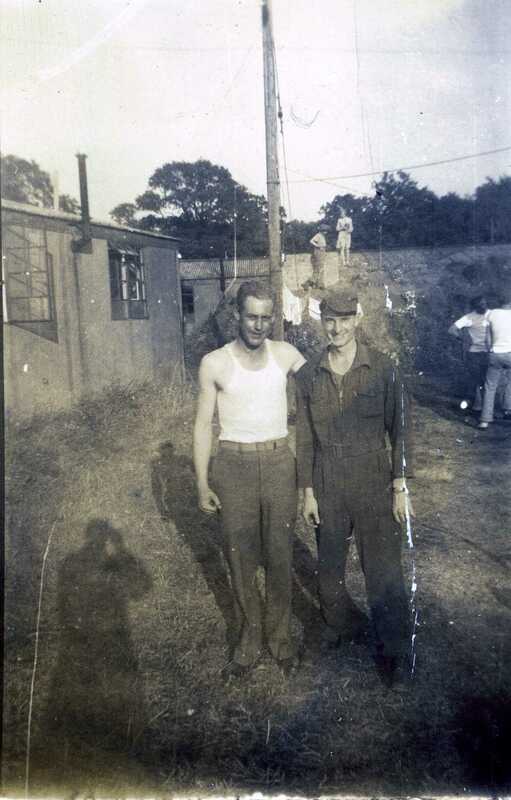 A little over two years later, on February 28, 1942, Lenard enlisted in the Army Air Corps in Dallas, Texas. 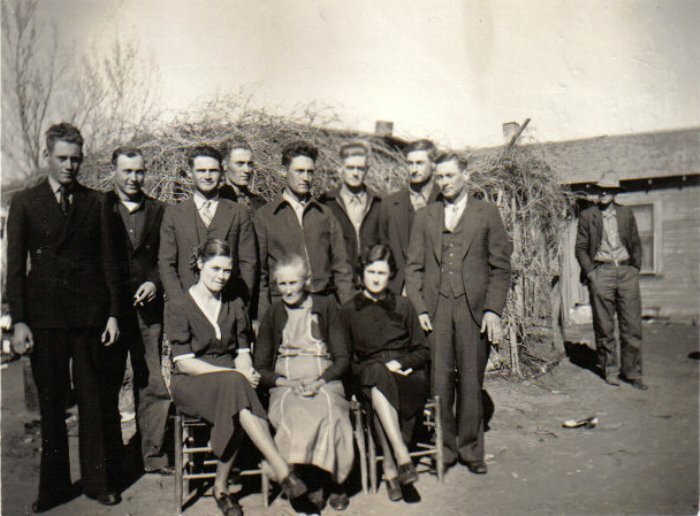 In the letters that follow, Lenard wrote to his brother Buck and family, which included Buck’s wife Edith (the former Edith Orringderff), their son Ralph, Jr., and sons Calvin Louis (Stump) and Gilbert from Buck’s first marriage to Lula Strain. Lula was five months pregnant at the time of her death in 1934. 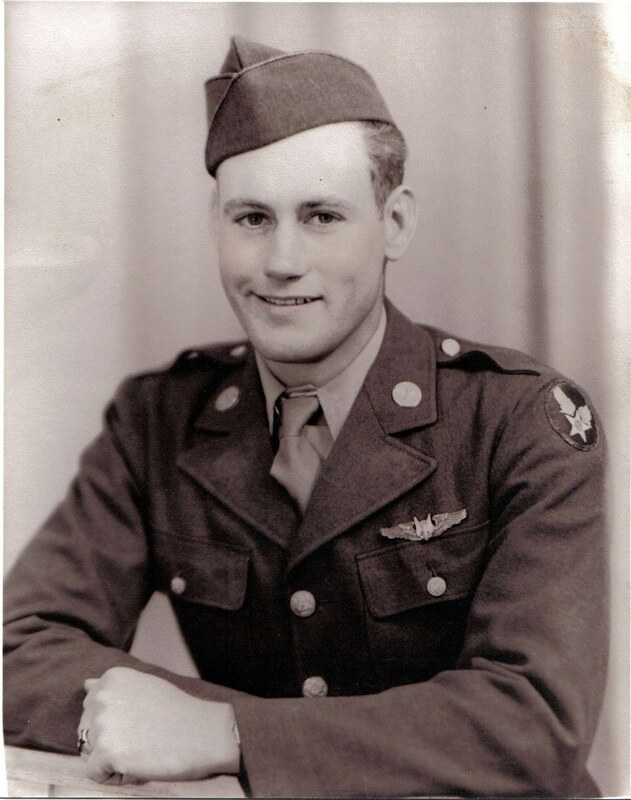 On July 3, 1943, Lenard wrote home from Amarillo Air Field in Amarillo, Texas. 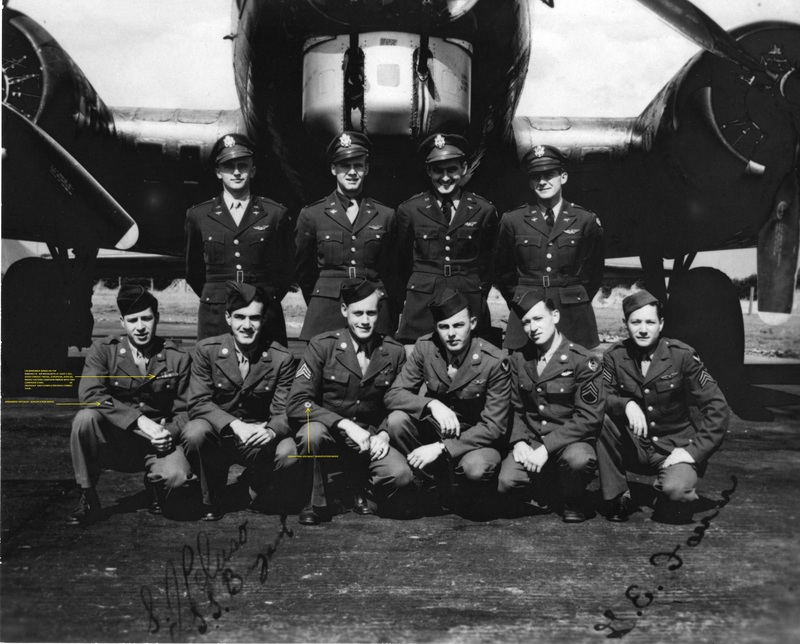 In WWII, Amarillo Air Field was a site for basic training, and training of air crew and ground mechanics to service the B-17 Flying Fortress aircraft. Lenard was apparently laid up in the hospital, reason unknown, but later letters indicate he might have had an injury to his left leg or foot. How is everything down there by now. Is it as wet down there as it is up here. It rained all night last night, but it is clear this morning. I am feeling fine, would like to get up, but they won’t let me yet, although it won’t be long, I hope. Sure wish I was down there now. Maudene wrote and said the crops was looking good. Tell Buck he ought to come up here and get sick. The nurses sure take good care of you. Ha. I guess I will have to come home and have to make some money. No, I have a good excuse, I am not supposed to do anything, Goody. I can eat twice as much as Buck now. I am about to starve to death. Ha. All I have got to do is lay here and think of something mean to do. How is Mom. Tell her to take care of herself. Well dam this mess. Anyhow, I write so answer soon. How is everything down there. I got that $15.00. Sure was proud of it, but you shouldn’t have sent it. Maybe I can repay you someday though. Well Buck they stopped my furlough so if you come to Amarillo after a load of oil stop by and get Maudene and come see me. Wish you could make it some Sunday. You could visit all day then. Sure made me mad when they stopped furloughs but I guess I will get over it. How is that “big Boy.” Has he ever give you a whipping yet. Ha. They say I will have to spend my furlough and about a month more here at the hospital. If I do I will go crazy. Well better close and get this mailed so answer soon. How is everybody down there. I guess you think I died by not writing, but I haven’t wrote anybody in two weeks but Mom and Maudene’s folks. I have got the blues again but have got 13 more days in the horse-pistol. Haven’t had a letter in a week and half so thought I had better write one or two. How is the watermelons down there sure would like to have one. Well can’t think of anything to write so answer soon and tell ‘Stump’ hello. My dad, George Edwin Farrar, often used the same term, “horse-pistol” for “hospital.” I supposed he might have picked up that particular terminology from his crewmate, Lenard Bryant. …all I do is sit or run around. I don’t know what they are going to do with me. I was released the other day, I am a truck driver now, that is if I ever get out of here to go to school. I am supposed to go before the medical board pretty soon, to either be discharged or get back in full duty, but I never will be able to take full duty. I was down at the hospital the other day and the doc said they wouldn’t do anything to my foot here, but when I get back home I could have it done, but I don’t know when that will be. I am going to try to get a three day pass next week. I think I can get it. Some of the boys are getting theirs. I would try this week but there is too many put in already. I am on shipping orders now. I will ship out in a day or so, to where I don’t know. Today is my day off but I can’t go to see Maudene because I am on shipping. I was glad Mom didn’t come up here to catch the train because she might not of got one there is so many troop trains. If I had got my weekend pass last night I was coming home anyway but I didn’t get nothing but a pass until 11:30 o’clock. Had to tell a lie to get that. I told them I had to get my laundry up at town. 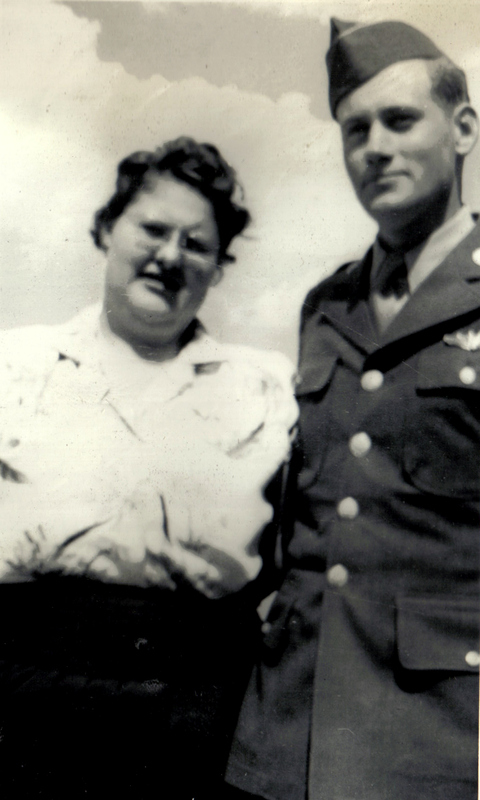 One month later, on October 15, 1943, Lenard wrote home from Sioux Falls, South Dakota. 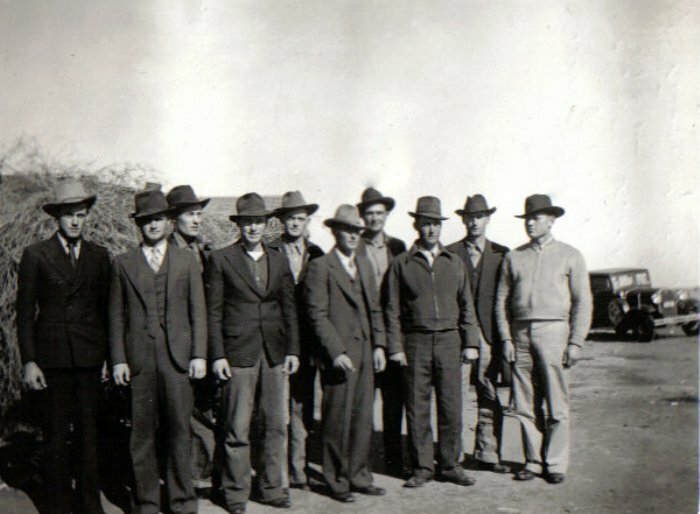 Sioux Falls was the site of a WWII Army Air Corps Radio and Communications School. Apparently Lenard, a farm boy from Texas, and radio, didn’t get along too well. …If it gets much colder here I guess I will just about freeze out. Well I can’t think of any more to say, except I wish I was further south for the winter. If you are ever in a mile of So. Dakota drop in to see me. Ha. Answer soon. How’s everything, a lot of colds I suppose, just think yourselves lucky to be there instead of here. This whole country is down with flu. I’m afraid they will quarantine this camp in a few days it’s getting so bad. The hosp. is full and are sending some to the town hospitals. I almost had the flu but I took about a box of aspirins and half tube of “Ben Gay” balm and got over it. The most of the boys don’t try to doctor themselves. I wouldn’t trust these doctors here at all. Well I’m going to town today for the first time in nine weeks. I’m going to get Maudene a good wrist watch if I can find one. It’s time for P.T. I will finish this after I get back. Here I am back from P.T. Had to walk all the way around the post and it sure was cold too. I sure wish I could be there Xmas but guess I can’t. About this school here I don’t like it worth a dam. And think I will wash out, maybe I will get sent somewhere so I can do some good. This is just a boy scout outfit here. If I do wash out I may get to come home for a few days. I would like to get in a.m. if I can. I would get to go back to Amarillo then. The doctors, nurses and all here are falling out with colds and flu. It’s getting pretty serious here, but I think I can dodge the flu, I hope. Well I can’t think of any more to say, so answer soon. I hope you all have a good Xmas, if I don’t hear from you before Xmas. Lenard’s reference to “a.m.” probably stood for aircraft maintenance or aircraft mechanics school. Well I’m out of school now. I washed out today. I will go to gunnery school when I ship out of here and I guess it will be at Yuma Arizona. I just hope I get to come home before I start that school. Did you all have a good Xmas dinner. I sure did. It was better than the one we had at Thanksgiving. And all the boys that was lucky enough to have their wives here brought them out to the mess halls to have Xmas dinner with them. It sure made me homesick too. Maybe I will get to fly some at gunnery school. I’ll be “Tail Gun Tommy.” Ha. … I don’t know when I will ship. I may be on K.P. here for a month. Ha. I will close. Hoping you all had a good Xmas, and hope the next one will be different. …Thought I would write a line or two to let you know where I’m at. I haven’t got too much time to write much. I got here last Thurs. night the 13th but won’t get to start to school until next Monday a week from today. This is a pretty place here and the weather is perfect, but I don’t like the idea of being a gunner, but there’s not much I have to say about. I will get a fifteen day furlough when I finish this school, then it’s good-bye to the good old U.S.A. if I don’t get to go to another school. 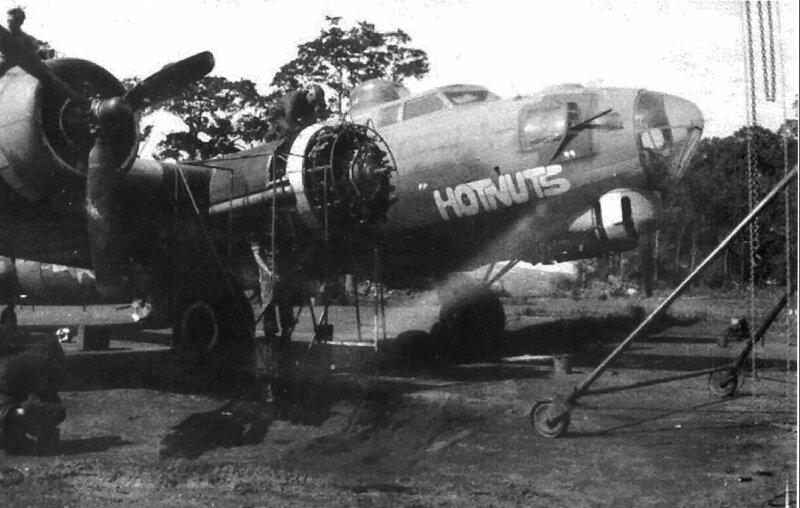 They have a lot of B-17 here, that’s all they use, and I’m glad of that. I’d rather go up in one of those than any other kind. Lenard mentioned in his letter written the day after Christmas 1943 that he hoped the next Christmas would be different. The next Christmas was different for the Bryant family. 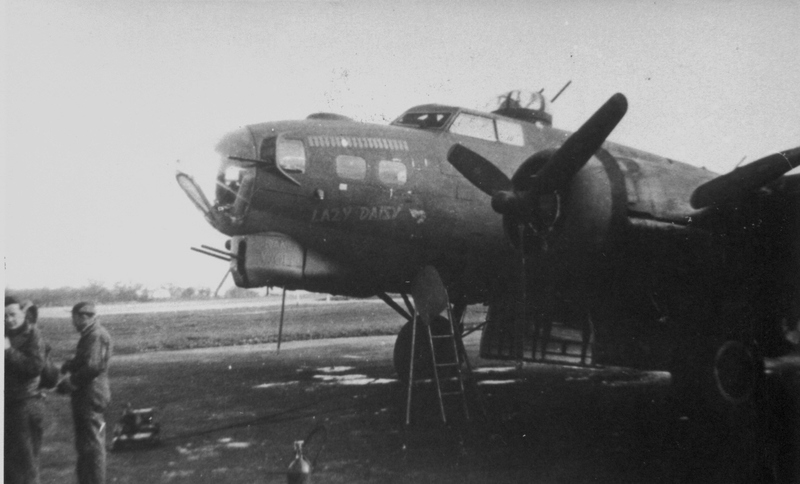 Lenard had been sent to the air station at Grafton Underwood, England. Here he was part of the Eighth Air Force, 384th bomb group, 544th bomber squadron, a gunner on the John Oliver Buslee crew. He started out as a waist gunner. My dad, George Edwin Farrar, was the other waist gunner on the ten-man crew. 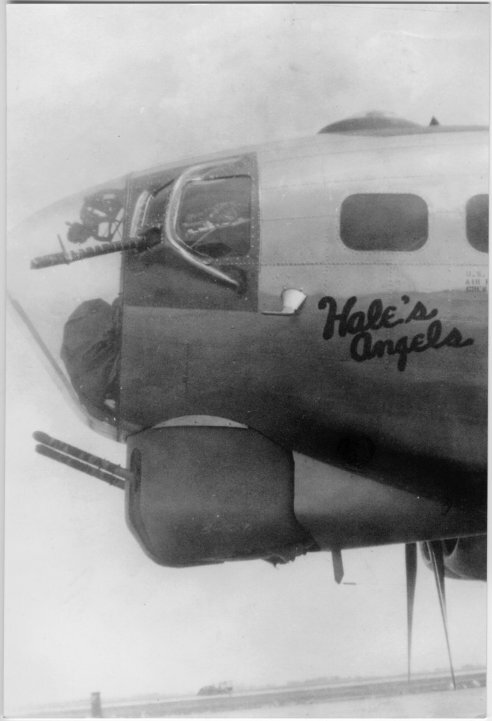 By the time they got to England, the crews of ten, with two waist gunners – one for each waist window – had been downsized to nine, with only one waist gunner manning both waist windows, and now called a flexible gunner. 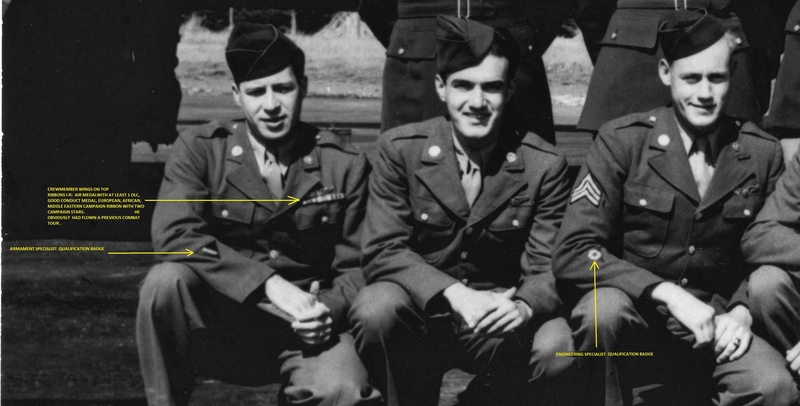 Lenard flew his first mission on August 4, 1944 as waist/flexible gunner, but on his second mission on August 9, and all his subsequent missions, he flew as the engineer/top turret gunner. 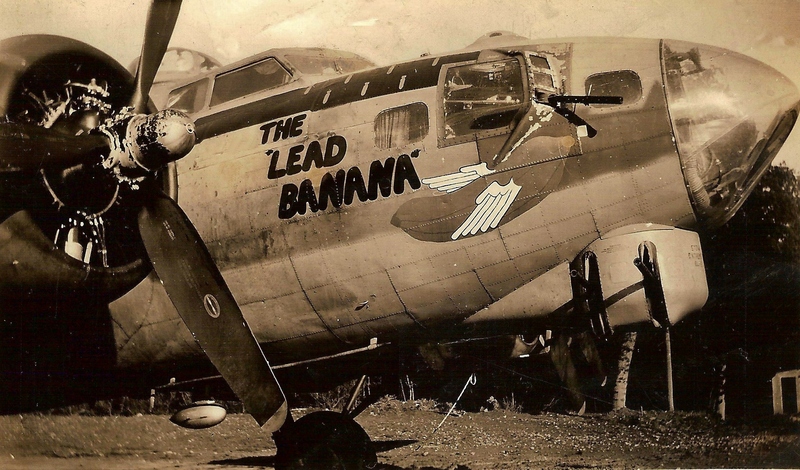 On his 16th mission on September 28, 1944, Lenard Leroy Bryant was on the Lead Banana and was involved in a mid-air collision with the Lazy Daisy coming off the target in Magdeburg, Germany. Bryant was killed in the collision. In mid-October, his family was notified that he was missing, but they spent Christmas not knowing if he was dead, or alive and a prisoner of war, as did all the other families of the boys on the two planes. 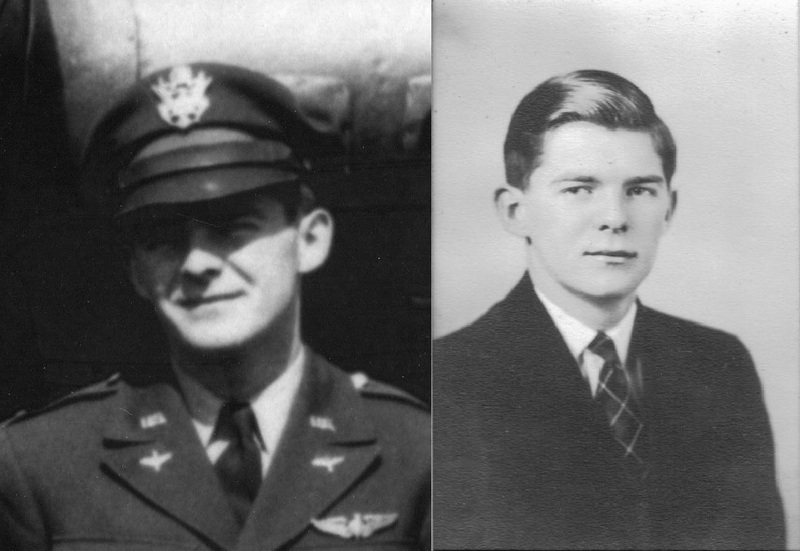 By February 1945, the Bryant family had learned the sad news that Lenard had died in the mid-air collision. 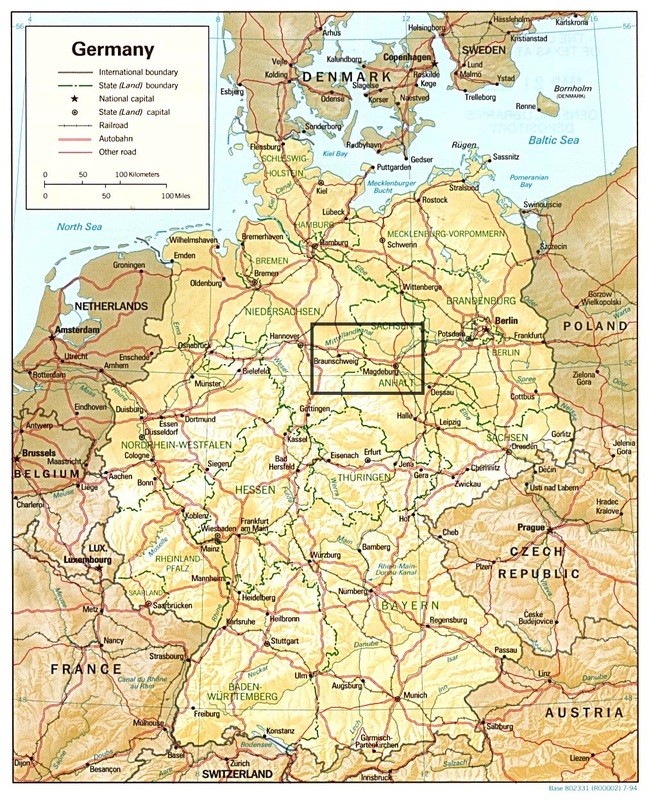 He was originally buried in the Ostingersleben Cemetery near the crash site. Bryant was later interred in the Netherlands American Cemetery in the village of Margraten, where he remains today in Plot G, Row 7, Grave 22. Heartbroken over the loss of her husband, Lenard’s wife, Maudene, never remarried. She remained in Littlefield, Texas until she passed away at the age of 80 on February 16, 2004. Thank you to Lenard Leroy Bryant’s great-nephew, Derral Bryant, for providing the photos, identifications, and other information in this post. Derral is the grandson of Lenard’s brother, Earl (Red) Bryant. Derral obtained this material from Lenard’s brother, Ralph Hubert (Buck) Bryant’s widow, Edith.